The ones you can buy retail are strong BUT TOO SHORT. 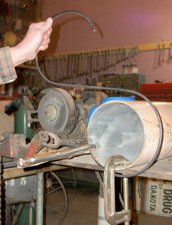 This 25" steel bracket will keep the windcatcher from hitting the wall, fence, post, or house. All brackets are painted black. The treeHOOKS are giant "S" hooks painted black. The round part is about 8" in diameter to easily hang over a limb while standing on the ground- no scary ladder necessary! Another great feature is that you can barely see them even though they look really cool. 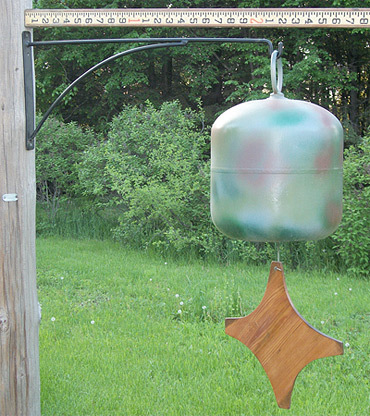 These chimes sound & look too nice to hang from an ugly fraying, squirrel-eaten-thru, colored rope or bungee cord.